(VEN) - In 2018, the Vietnamese economy achieved significant results in terms of renovation, growth, investment and international integration. Vietnam Economic News lists the year’s top 10 economic developments. In 2018, Vietnam continued fulfilling/exceeding all 12 socioeconomic development targets set by the National Assembly. The gross domestic product (GDP) grew 7.08 percent, the highest rate in a decade. The index of industrial production grew 10.2 percent. The manufacturing and processing industries achieved a growth rate of 12.3 percent, the highest in the past seven years. More than US$19 billion of foreign direct investment (FDI) capital was disbursed, up 9.1 percent compared with 2017. Vietnam saw strong improvements in the quality of economic growth, as well as of the business and investment environment. The number of newly established companies soared. For the third consecutive year, Vietnam succeeded in curbing the inflation rate at below four percent. Flexible fiscal and monetary policies were applied, meeting the economy’s demand for capital. On November 12, at its sixth session, the 14th National Assembly voted on the resolution to ratify the Comprehensive and Progressive Agreement for Trans-Pacific Partnership (CPTPP) and related documents. Vietnam was the seventh country to ratify the CPTPP, which entered into force on January 14, 2019. In 2018, the EU-Vietnam Free Trade Agreement (EVFTA) was adopted. Necessary procedures are underway for the agreement to be signed in 2019 to open new export opportunities for European and Vietnamese companies. Total import, export value exceeded US$482.23 billion, up 12.2 percent or US$52.05 billion compared with 2017. The trade balance had a surplus of US$7.21 billion, 3.2 times higher than the trade surplus of 2017. Vietnamese goods were exported to more than 200 countries and territories. Vietnamese farm produce and seafood are present in 180 foreign markets, reducing the dependence on specific markets. 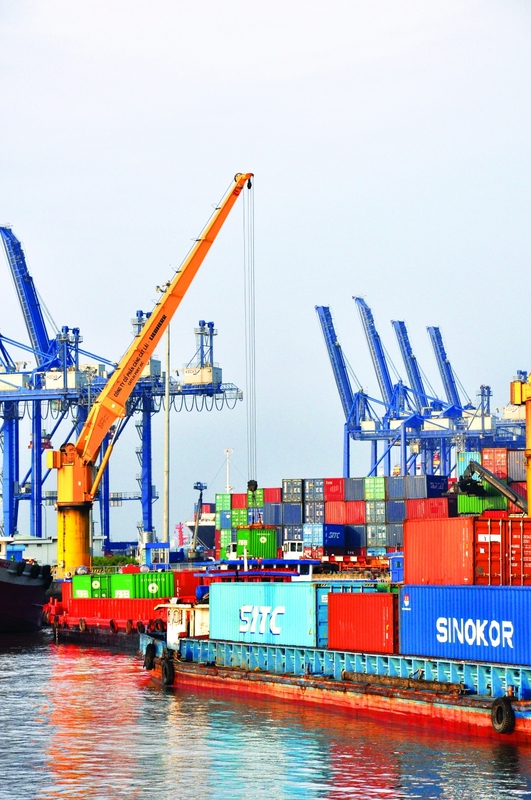 In terms of export value, Vietnam moved up from the 50th position in 2007 to the 27th in 2018, according to the World Trade Organization (WTO), and is expected to continue moving ahead in 2019 and ensuing years. By the end of 2018, ministries and sectors slashed nearly 1,000 business conditions, helping save almost 18 million workdays and more than VND6 trillion for businesses and people per year. The Ministry of Industry and Trade was a leading unit in this activity, with 72.1 percent of business conditions under its management already simplified or eliminated. The year 2018 saw improvements in eight out of 10 indexes of the Vietnamese business environment. Examples include granting construction licenses; asset registration, contract-related dispute resolution, cross-border commercial transactions, and logistics efficiency. In 2018, Vietnam moved up 37 places compared with 2017 to the 27th position among 190 economies worldwide in the World Bank electricity access index. Electricity access topped the list of 10 economic indexes in terms of improvement level. On October 22, the 12th Central Committee of the Vietnam Communist Party issued Resolution 36-NQ/TW regarding the strategy to promote sustainable development of the marine economy until 2030, with a vision towards 2045. By 2030, the marine economy is expected to contribute 10 percent to Vietnam’s GDP; and the economies of 28 coastal provinces and cities are expected to create 65-70 percent of Vietnam’s GDP. The Committee for State Capital Management was launched in Hanoi on September 30, assuming control of 19 units, including groups and corporations with 100 percent of their chartered capital owned by the state. The committee is responsible for managing more than VND1,000 trillion of state equity and VND2,300 trillion worth of total assets at these units. On December 23, the Nghi Son oil refinery and petrochemical complex was put into operation. 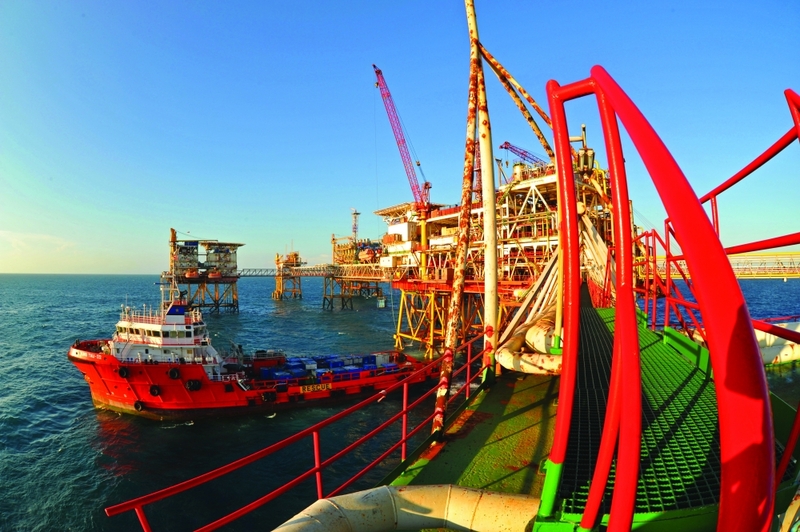 With total investment of more than US$9 billion, the complex was designed to refine 10 million tonnes of crude oil per year, meeting 40 percent of the domestic fuel market demand. Other major infrastructure projects put into operation in 2018 include the Ha Long-Hai Phong Expressway and Bach Dang Bridge connecting Quang Ninh, Hai Phong and Hanoi; the Ha Long-Van Don Expressway; the Da Nang-Quang Ngai Expressway; the Van Don International Airport (Quang Ninh Province); the Cao Lanh Bridge; the Ha Long International Cruise Port; the TTC Phong Dien Solar Power Plant (Thua Thien Hue); and the Ca Mau Gas Processing Plant. 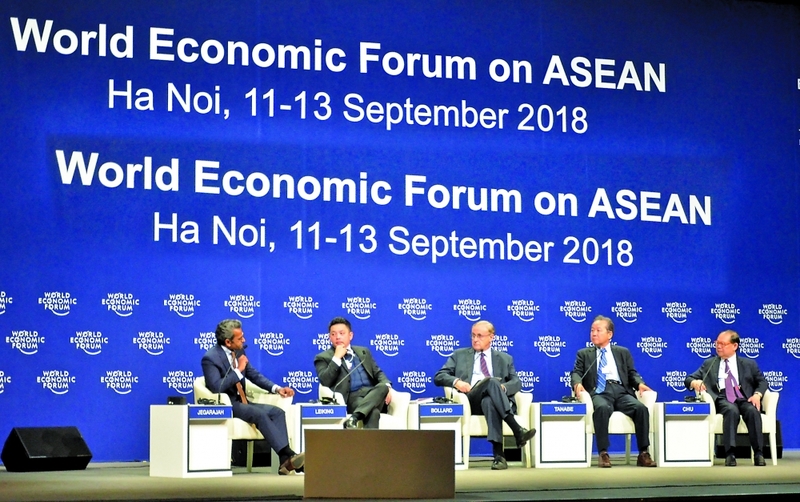 Themed “ASEAN 4.0: Entrepreneurship and the Fourth Industrial Revolution”, WEF ASEAN 2018 took place from September 11-13 with nearly 60 discussion sessions, attracting more than 1,000 participants, including seven presidents and prime ministers, two deputy prime ministers, 60 ministers and more than 800 leaders of leading groups in the region and worldwide. Participants discussed various matters related to the development and integration of ASEAN countries in the context of Industry 4.0. In early November, LUX A2.0 and LUX SA2.0, the first two car models of VinFast Manufacturing and Trading Company Limited, a subsidiary of the private Vietnamese conglomerate Vingroup, were unveiled at the Paris Motor Show. More than one month later, the two car models were launched in the Vietnamese market. VinFast’s auto manufacturing factory is based in Hai Phong City’s Cat Hai District. The company has hired reputable auto design and manufacturing experts from Europe, mostly from Germany, to design and install all five factory workshops. Last year marked the 10th year of the implementation of Resolution 26-NQ/TW issued by the Vietnam Communist Party Central Committee in August 2008 on developing agriculture, farms and rural areas. According to the Ministry of Agriculture and Rural Development, over the past 10 years, the agricultural sector has been restructured towards large-scale commodity production, with growing productivity and improving quality. The GDP of the agricultural sector grew 2.66 percent annually from 2008-2017. Its production value increased 3.9 percent per year. Farmers’ per-capita income increased from VND9.15 million in 2008 to about VND32 million in 2017. The rural workforce has been restructured, generating new jobs. The percentage of people working in the agricultural, forestry and fishery sectors decreased from 71 percent in 1995 to more than 40 percent in 2018.